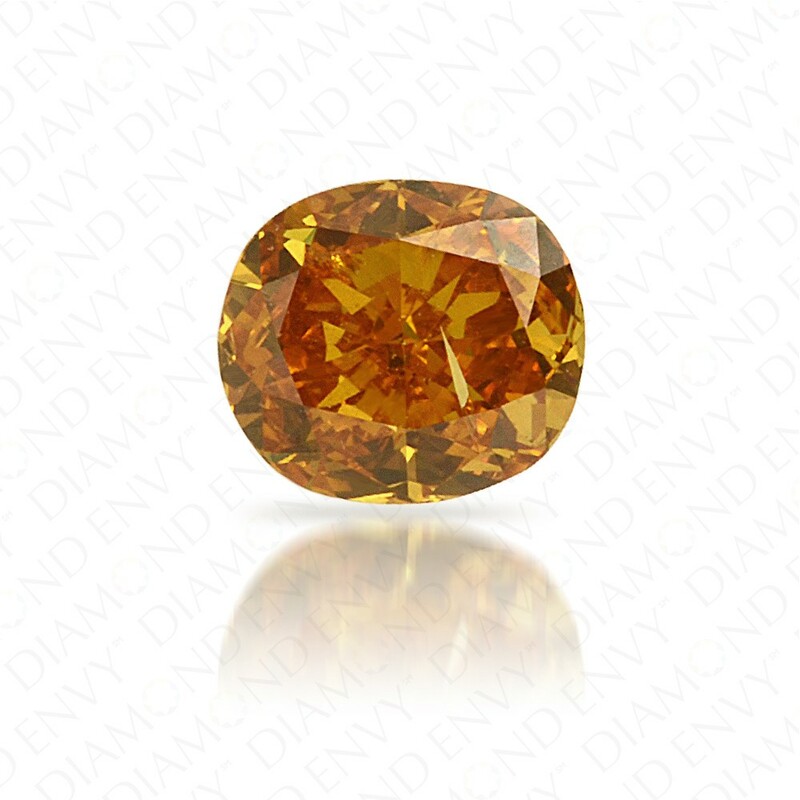 A natural colored diamond to truly marvel at, this 0.23 Carat SI2 cushion Natural Fancy Intense Yellow-Orange diamond is full of rich and complex color. This natural yellow-orange diamond features unstoppable brilliance and beautiful faceting. 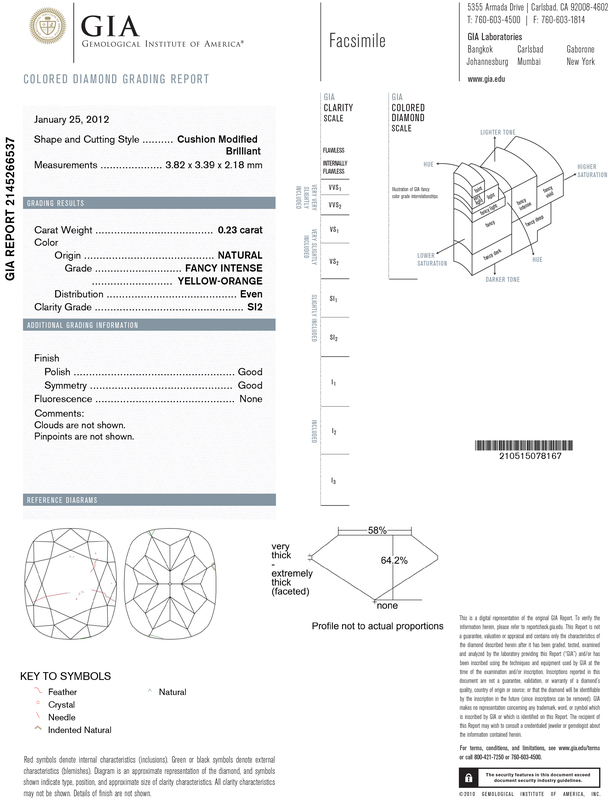 This fancy colored diamond is GIA-certified.